DECATUR, Ga. — The Cooperative Baptist Fellowship is partnering with a network of Baptist groups from around the world to provide aid to the victims of the recent earthquake in Nepal, which has killed more than 4,000 people, injured thousands more and left the impoverished South Asia country in a state of disarray. CBF has contributed an initial $10,000 to the Baptist relief efforts and is encouraging Cooperative Baptists and friends to support the Fellowship’s response to the Nepal crisis. Gifts can be made to the CBF Nepal Response at www.cbf.net/nepal. A boy stands in the rubble in the aftermath of the earthquake in Nepal. Image via BMS World Mission. CBF has also deployed Eddy Ruble, one of CBF’s field personnel who serves in Southeast Asia and is a seasoned disaster response expert, to Kathmandu, the densely-populated capital of Nepal where at least 1,150 people died, to make initial assessments and plans for the Fellowship’s role in the relief efforts. 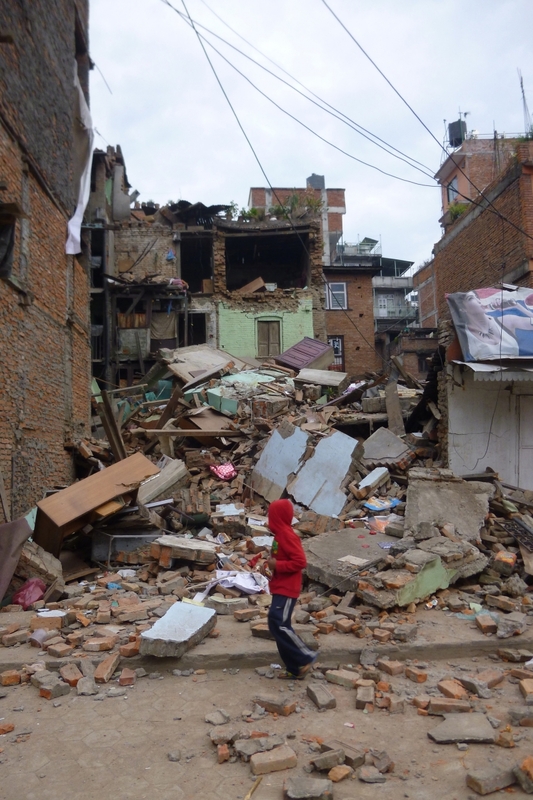 The 7.8-magnitude earthquake occurred April 25 while many churches were holding worship services (churches typically meet on Saturdays in Nepal) causing church buildings to collapse and leaving thousands homeless and most areas without power and water. The United Nations estimates that more than 6 million people have been affected and nearly one million children in Nepal urgently need humanitarian assistance. Nepal, a nation of 27.9 million, has an economy dependent on tourism and is best known for Mount Everest, the highest mountain in the world where at least 18 people were killed. U.N. officials emphasize that the death toll is likely to rise as the situation remains unclear in remote areas. They note that the hospitals in the Kathmandu Valley are overcrowded and running out of water and other emergency supplies as well as space to store corpses. Reblogged this on Baptist Spirituality.